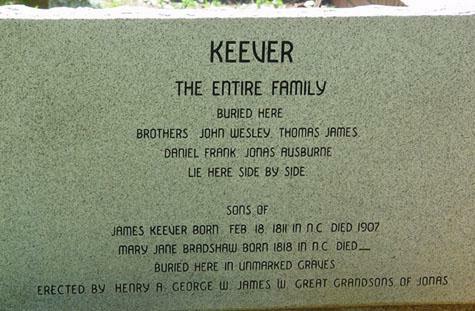 John Wesley Keever, son of James Keever and Mary Rebecca Jane Bradshaw, husband of Sarah Elizabeth Hurgburger. 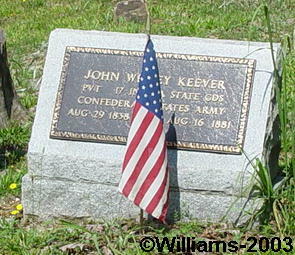 Died, at his residence, August 16th, at 5 o’clock P. M., John W. Keever, of this county; aged 41 years. 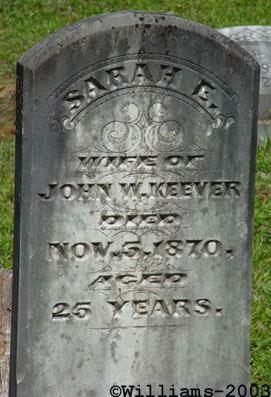 The deceased was well known and highly respected. 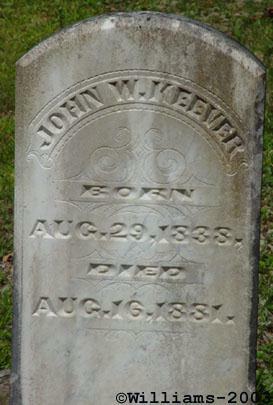 He suffered only a few short months, and then that most fatal and dread disease, consumption, claimed its victim. 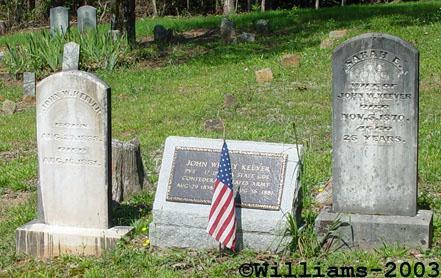 His sufferings were borne with that patience and fortitude which characterizes a Christian. To his bereaved parents and four fatherless children we offer our most sincere and heartfelt condolence.